Social media is a permanent staple in any online marketing and SEO campaign. From Facebook and Twitter to LinkedIn, there are millions of global brands listed within these platforms and networks. In fact, what was once a portal for rekindling friendships is now a central hub for business growth and expansion. With little to no overhead, social media marketing (SMM) is a cost-effective way to effectively promote your products and services to mass audiences. Social media is designed to generate a lasting buzz about your products, services, and brands. In fact, it helps extend your brands’ reach on the Web, while effectively attracting and engaging new clients and customers. Whether for new startups or existing brands, it’s imperative for any company to have a strong social media presence. This not only allows your business to tap into the current and burgeoning trends, but also lets prospects know exactly what your company does. Strong social media profiles that get your message across to users. Increase followers via “likes”, while targeting core, geo-specific or broad-based clients with high-quality posts and relevant content. 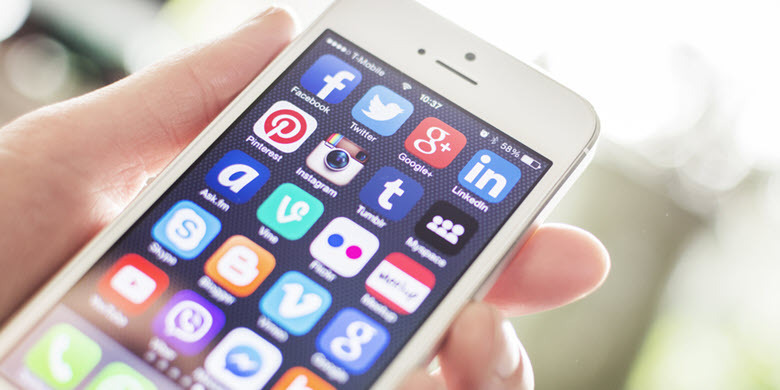 Social media platforms are designed to reflect the latest mobile and cloud-based technologies. This means you do not have to change any metrics to see timely and valuable results. Social media posts can include strategic keywords, links and hash tags. These are designed to promote brand visibility on local search results and business listings. Social media can be utilized to promote your company’s events and accolades, as well as answer client questions and customer concerns. Utilize these networks to build digital bridges for brand longevity and success. Expand business visibility and growth with promotional videos, back-links, and continuous exposure to your services. Industry-relevant content helps your business remain or become competitively viable in any industry, sector or niche. The ultimate goal of any social media campaign is to create loyal fans for your business. However, you need social media gurus to help identify trends and consumer needs. This delivers organic, natural results –which are far more valuable than paid market research. Social media management is also used to influence your web traffic, while showcasing your brands as competitive entities and helpful resources in any market. Increase brand awareness, visibility and deeper consumer engagements. Get long-term, powerful and measurable results without spending thousands of dollars on stagnating or dormant marketing campaigns. Secure the right social media content that commands attention, while attracting and enticing users to visit your sites, blogs and online stores. Build your social media presence with more followers and company reviews. Increase word of mouth (eWoM) referrals, while communicating with your customers via daily posts, instant messages, and client-fulfillment protocols. Appear on local search results, business listings, and promote your blog posts and content for traffic and lead generation. Social media management is not just relegated to Facebook posts and Tweets. In fact, it utilizes a comprehensive approach to brand management; blog development, high-quality content, brand monitoring and online reputation management. Originality and unique content is also the key to growing your online and social media presence. With this in mind, your SEM campaign must include content that educates and connects your target audiences. Use social media to show customers and clients how your products and services will help their companies. This will make you an industry leader – one with unparalleled experience and true expertise across the board. Fresh and engaging content courtesy of professional copywriters and editors. These experts utilize the social media platforms to distribute your articles, posts, and press releases for maximum brand exposure. Ensuring your websites and blogs achieve better placement on Google rankings, search results and listings. Incorporating social media links (visible and embedded) on all content for uniformity and consistent campaigns. Ensuring your business appears on Google Maps and local online business directories. Online reputation management – responding to customer reviews, questions, and concerns. This renders your business as a professional entity, and increases the chances for positive industry citations and mentions. Brand monitoring, Google analytics and metrics that are easier to manage and control than paid media. Social media is designed to tell your audience what your business is all about. This encourages them to tell their friends and loved ones – resulting in greater visibility and customer patronage across the board. While social media centers on DIY techniques, you still need specialists to guide and navigate your business through murky waters. For example: how do you know if your social marketing campaigns are working or not? Are you seeing an increase in social media followers, web traffic, leads, and revenue? These are important questions that only social media managers have the answers to.